Medical Grade, General Use Sterile Sample Collection Cup w/ Screw Top Lid 4 oz. 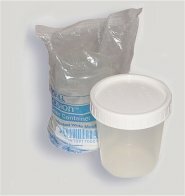 Convenient, disposable, professional sample collection containers for use with all lateral flow, urine based test devices. High quality, professional grade polypropylene construction minimizes risk of sample contamination and handling exposure. Standard four ounce fill capacity and graduated with recommended fill levels pre-marked for dip strip, dip scan and similar constructed test devices requiring insertion of an absorbent wick into a urine sample. Hinged lid on security type containers snaps down to form a leak proof seal. Interlocking latch device provides additional security during sample transportation or storage. General use containers are sterile and individually sealed to prevent cross contamination. 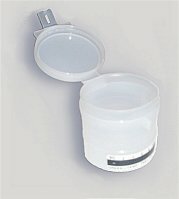 While any clean plastic or glass container can serve as an adequate sample collection device for lateral flow urine test devices, these specimen containers were designed specifically for professional use where maintaining sample integrity during refrigerated storage (freezing) and/or transportation is important. Additionally, built in temperature strips on security containers provide an immediate check and verification of sample temperature after collection limiting the possibility of sample substitution, dilution or other similar type of contamination. All three containers are leak proof when closed. They can be sealed and labeled for security or chain of custody purposes or safely stored in a freezer for later sample analysis and testing. Professional, spring loaded sterile lancet for easy, quick and virtually painless capillary blood sampling. Overcomes the natural hesitancy and difficulty of self administered finger pricks. The EZ-Lance� automatic lancing device contains a sterile spring loaded 21 gauge 1.8 mm ultra sharp lancet recommended for safe, painless capillary blood sampling. Operation is trigger initiated and instantaneous thereby eliminating the natural hesitation and "flinching" response of self initiated finger pricks. The EZ-Lance� lancet penetrates to the ideal depth for consistent and adequate whole blood samples thereby minimizing the chances of over or under puncturing. As a safety factor, the lancet is instantly and permanently retracted back into the device housing after use to to prevent subsequent reuse, allow for routine disposal, and eliminate inadvertent or accidental punctures. Single use only. Order below. Specimen collection containers are available in the three types illustrated above. If intended use is with dip scan or immersion type drug testing devices, the slotted overlay top is recommended. 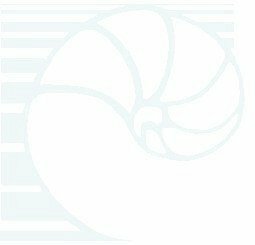 Quantity packs of 5, 15, 30 and 100 generally conform to the sale units of the drug screen and other lateral flow tests available. Unistik� 2 automatic spring loaded lancets are sold in bags of 10, 25 and boxes of 100. *Due to bulk weight, FEDEX and DHL overnight shipping options are not available for urine sample cup sale units marked with an asterisk (*) below. (A) General Use Specimen Container Sterile w/ Screw Top Lid individually wrapped, 4 oz. (B) Security Type Specimen Container w/ Interlock Hinged Cover & Temperature Strip, 4 oz. EZ-Lance� Auto Lance Safety Lancets spring activated, Sterile, disposable, non-biohazard. * Expedited shipping (FEDEX or DHL overnight) options are not available for these items. Orders are sent by ground carrier only. Note: Special sample collection cups are not necessary to perform any lateral flow urine test. Results are not dependent on the type of sample container used and accuracy rates are likewise not compromised. Any clean container may be used for sample collection purposes. These sample cups are special use depending on the security, storage or transportation need of the test procedure.